That photo really gets it to the point: the season in the alps has been sick, and will be sick for another couple of months. 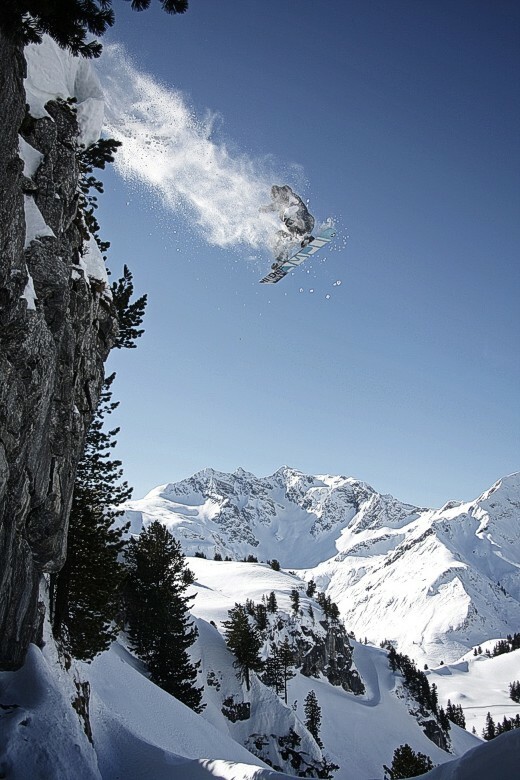 Ambusher Simon Günther dropping a cliff up at Warth, Arlberg – spinning his HiDef like if there is no tomorrow. Right on, that’s the way it’s gotta be.